Round 17 of the PlayStation®4 National Premier Leagues NSW Men’s competition is set to deliver another six scintillating matches. While Sydney United 58 FC, Blacktown City and Rockdale seem assured of a final spot, the battle for the final two places could go down to the wire. This week’s Match of the Round features APIA Leichhardt at home against Rockdale City Suns. Danial Cummins’ APIA squad found their shooting boots last week on the road against Wollongong. It was a return to winning ways for the Lambert Park side which has struggled for consistency this season. APIA’s opponents this week are Paul Reid’s Rockdale City Suns who last week edged Blacktown Spartans 2-1 at Ilinden Sports Centre. Rockdale has been a competition front runner all season and will be difficult opposition for APIA. Players to watch will be APIA striker Tasuku Sekiya as well as Rockdale’s Peter Makrillos and Alec Urosevski. After a run of positive results Sutherland was given a reality check last week by Parramatta. Despite last week’s 3-0 loss, Carlos Villazon’s side has made significant steps in recent weeks and has added some substance to their attacking flair. Tomihiro Kajiyama has been a star performer for the sharks and will once again be required to lead the sharks. After a draw last week, Bonnyrigg will be desperate to win. Brian Brown’s team has only flashed the form which made them PlayStation®4 National Premier Leagues NSW Men’s Champions last season but they are still in with a shot of defending their crown. Sydney Olympic will be out to bounce back from their 2-0 loss to Sydney United 58 last week. Olympic are still in with a small chance of making the top five but they will need to go almost undefeated through the final six rounds. It is a huge game for Parramatta with their finals hopes on the line. Franco Consentino’s side is one spot out of the playoff places but have a game in hand. They cannot afford to lose. A six goal demolition of Hakoah last week Manly United is firing on all cylinders. Wollongong Wolves will need to bring nothing short of their best to Cromer Park on Sunday if they are to come away with a win. Manly’s ferocious attack is one of the competitions best and has torn apart defences week after week. Wollongong has struggled to win in recent weeks but have the talent to spring an upset. Richie Cardozo, Dejan Pandurevic and Brendan Cholakian are the ones to watch for Manly while Nicolas Bernal will be the man for Wollongong.  Blacktown has lost ground on first placed Sydney United 58 in recent weeks and will almost need a perfect run to the end of the season if they are to pull off an unlikely PlayStation®4 National Premier Leagues NSW Men’s Premiership triumph. Mark Crittenden’s side is never to be doubted and will be out to add to the woes of Hakoah Sydney City East on Sunday. Hakoah were thrashed 6-1 last round in one of their worst performances of the season. Blacktown will target a fragile Hakoah defence short on confidence with Patrick Antelmi, Joey Gibbs, Mitch Mallia, Danny Choi and Travis Major all set to create chaos in the attacking third. With the home crowd behind them, Blacktown could have a field day. However, Hakoah know how to unsettle City so the home side can’t rest on their laurels. The final match of Round 17 features top of the table Sydney United 58 against cellar dwellers Blacktown Spartans. Sydney United 58 has been the most consistent side this season and is unlikely to let that slip at home this week. Panni Nikas and Chris Payne have claimed all the headlines with their attacking play, but United 58’s defence and the goalkeeping of Thomas Manos has been the real heroes this season. The Spartans have made significant improvement and are playing an attractive brand of football. An interesting subplot will be the battle of midfield between brothers Glen and Jason Trifiro. Glen, a recent addition to United 58, and Jason, the Spartans big name acquisition, will bring plenty of excitement to the clash with the former A-League players set to be essential part of the game plan for both teams. After every round of the PlayStation4 National Premier Leagues Men’s season Team of the Week brings to focus the best players from that weekend. A thrilling match opened the round at Bonnyrigg Sports Centre, with the White Eagles hosting Blacktown City in a battle that renewed hostilities from last year’s Grand Final. Both sides were searching for a win that had eluded them since the start of the month, ensuring some brilliant attacking football was played. Yuta Kokado impressed in midfield with some sparkling runs down the left edge, proving a constant threat in attack for the hosts. The Japanese import set up countless chances, only to see the City defence withstand the pressure. However, Kokado finally struck in the 68th minute with a stunning goal from the edge of the box to bring Bonnyrigg back on level terms at 2-2. It would be the final goal of the match, each sides walking away with a point. Parramatta FC proved too strong for Sutherland Sharks in a comfortable 3-1 win. Dynamic Parramatta striker Marco Sama was deadly up front, the young striker picking up a well-deserved brace. The outstanding efforts of Ante Tomic were also a key factor, the defender shining on the wing. A wonderful set piece from Tomic’s corner paved the way for Parramatta’s opener before Sama netted his first in the 19th minute, his excellent ball control outfoxing the Sharks defence. Tomic combined brilliantly with Sama in the second half to score Parramatta’s third. The classy left back manoeuvred the ball dangerously into attack before squaring to Sama who finished clinically. Sydney United 58 extended their lead at the top of the ladder with a two-goal victory despite an average first half showing against Sydney Olympic. The old rivals played out a scoreless first half which saw some dogged defence from both sides. Eddy Bosnar was strong at the back for United 58, saving a goal with a courageous deflection after Olympic looked certain to score. Bosnar combined well with central defender Tomislav Uskok. The former Mariner showed his class with a great display to shut out the Olympic attack, almost scoring a goal himself when his headed effort nearly opened the scoring in the 5th minute. United 58 came out firing in the second half and took the lead through a penalty from Panni Nikas. The striker was deadly up front and nearly had a brace, but his curling shot just missed the mark. A tough encounter between Blacktown Spartans and Rockdale City Suns provided a scrappy match on Sunday at Illinden Sports Centre. Both sides lacked the composure in attack to finish off some excellent chances, but Rockdale held on for a tight win. Goalkeeper David Bradasevic was kept busy throughout the match, pulling off some spectacular saves at full stretch to deny the Spartans attack. With the game locked at 1-1 and approaching the final 30 minutes, Bradasevic produced a great save with a tap over the crossbar. The Spartan attack continued peppering the goal, but a lapse in concentration saw Rockdale escape with a 2-1 win. APIA travelled to Wollongong looking to leapfrog the hosts on the ladder in a contest where both sides were desperate for a win. In his first season with APIA, Tasuku Sekiya has quickly become an x-factor in attack and the Japanese striker again proved tough to contain for the opposing defence. Sekiya unleashed shot after shot in the first half and kept the Wolves defence scrambling. He finally opened the scoring in the 40th minute with a brilliant goal form outside the box. Despite conceding a goal on the stroke of half time, APIA grabbed the lead again thanks to a clinical strike from Nathan Millgate. After impressing at the back for much of the first half, Millgate latched onto a cross to score his side’s second. APIA kicked on to score a third to record a 3-1 victory. A ruthless performance from Manly that saw them score 6 goals has fired a warning shot to the rest of the competition. The cracking win over Hakoah was set up by some outstanding displays from young guns Dejan Pandurevic and Adam Parkhouse. The talented youngsters combined in the 1st minute to open the scoring; Parkhouse showcasing his blistering speed on the left wing before sending a beautiful cross that Pandurevic finished perfectly. The pair continued to terrorise the defence, helping their side rocket to a 4-1 half time lead. Parkhouse had a hand in Manly’s fifth with another superb cross that was met by Brendan Cholakian. Meanwhile, Pandurevic was unlucky not to have scored a brace, such was his dominance in the 6-1 rout. All eyes will be on Seymour Shaw this Saturday afternoon where third-placed Sutherland Sharks host new competition leaders Bonnyrigg White Eagles in what resembles one of the games of the PlayStation®4 NPL NSW Men’s U20 season so far. Meanwhile, a struggling Blacktown City host Hakoah Sydney City East on Sunday while Manly United and Wollongong Wolves also square off at Cromer Park as they fight for a position in the upper echelon of the table. Bonnyrigg announced their championship credentials in devastating fashion with an 8-0 win over reigning champions Blacktown City last weekend but the White Eagles will have their sights firmly set on the challenge of Sutherland when they arrive at Seymour Shaw this Saturday. Allan Edmondson’s Sharks rose to the top of the competition ladder a fortnight ago on the back of some impressively consistent showings but having surrendered their competition lead following consecutive stalemates with Sydney Olympic and Parramatta. Sutherland’s discipline and resolve will be tested again by the high-flying White Eagles who shot into championship favouritism after last Saturday’s defeat of Blacktown and will be eager to maintain the benchmark of the competition as others have struggled to do in what has been an incredibly topsy-turvy campaign. A finals berth has always looked to be a distant reality for Rockdale City Suns after a tough 2016 competition and their hopes of finishing in the top six could be dealt a final blow when the Ilinden side face APIA Leichhardt Tigers at Lambert Park on Saturday night. Yet, there could be no better time to stage a dramatic last ditch attempt to salvage their season when Rockdale face APIA, who have struggled through one of their worst periods of the campaign in recent times. Four losses in their last five has seen George Sidis’ side drop from likely championship dark horses to mid-table uncertainty and APIA will be set on redeeming a particularly poor run of form at home. A 2-1 loss at home to bottom side Sydney United 58 last weekend came as a particularly bitter pill to swallow for the finals-chasing Olympic side who must respond from that setback against Parramatta at Belmore Sports Ground on Sunday. But Mark Zecchin’s plucky Parramatta side, who have picked up three draws against competition heavyweights Sutherland, Blacktown City and Manly United in as many weeks, are exactly the kind of challenge the Blues must overcome in order to be worthy of a finals finish. With the Eagles fighting to keep their season alive and the pressure building for Olympic it promises to be a thrilling contest on Sunday afternoon. Manly United returned to the winners circle last weekend after a hard fought 3-1 victory over Hakoah Sydney City East but they face another important test of their mettle when Wollongong Wolves arrive at Cromer Park. The stubborn South Coast side continue to grind out important results as the season reaches its business end with a 1-0 win over APIA Leichhardt the latest in a series of convincing performances from Alfredo Esteves’ side. But it will be another step up in quality for the Wolves as they take on a high-calibre Manly United outfit who have not been outside the top four at any stage this season even despite several setbacks in the recent months of the campaign. There’s no time for Blacktown City to reflect on their 8-0 loss to Bonnyrigg this week with a crunch match against Hakoah Sydney City East on the horizon. While Ben Wright’s side will have had ample time to rectify their weaknesses at training the reigning champions are still stumbling through their worst run of form in a long time, winning only one of their last five matches. It might be the perfect time for Hakoah Sydney City East to play the wounded Blacktown side as the league newcomers look to cement their position in the top six. With a game in hand on their rivals above them, consigning City to another troubling defeat would improve Hakoah’s position significantly as the likes of Sydney Olympic and APIA Leichhardt continue to fluff their lines in the race for the finals. Returning to Sydney United Sports Centre victorious after an excellent triumph over Sydney Olympic last Sunday, Sydney United 58 will host Blacktown Spartans hoping to keep their slim chances of finals football alive. With Davor Bajsic’s side only three wins away from sixth-placed Hakoah Sydney City East a late finals charge is not beyond the realms of possibility for United 58 but they will have to overcome a Spartans side who have dragged themselves right back in the hunt after their disastrous mid-season form. Blacktown are only a point away from the top six but hold very little margin for error having played a game more than the other finals hopefuls around them. A 1-0 win over Wollongong a fortnight ago looks to have galvanised Samuel Jacob’s men who will look to avenge their 3-2 defeat to United 58 in Round 6, a match that preceded a horrific run of results that saw the Spartans claim four points in their next eight games. Blacktown City FC has appointed Brian Dene as General Manager/Head of Football. Brian has expertise in developing players in an elite environment and experience in building high performing teams in a positive organisational culture. He has a comprehensive understanding of the structure and dynamics of Australian and International high performance football, including the interrelationships at local, state and national level. Brian holds the AFC/FFA ‘A’ Licence, a FIFA Futuro III Instructors Licence and has degrees in Master of Education (Coach Education), a Bachelor of Physical Health Education and a Bachelor of Sports Studies, majoring in Coaching. His most recent coaching experience comprises NYL Head Coach and NYL Assistant Coach at Sydney FC, Australian Schoolboys Coach, Australian Schoolgirls Coach and four years as an Assistant Coach at the New South Wales Institute of Sport (NSWIS). Dene’s appointment to the Club is about creating it’s future through investment in youth football by building upon the current players, retaining exceptional football coaching and support staff, ensuring consistency of programs and engagement with the local community. Blacktown City FC’s commitment is to best-practice that presents a clear pathway from the Skill Acquisition Program progressing up to First Grade. This will be done by introducing sophisticated scouting and development systems, using the latest sports science technology and ensuring that talent is identified and nurtured from a young age. Dene has a real passion for leadership and confirmed his focus. “I lead by example and I want to ensure the coaches and players do the same, on and off the field. As a Club we need to instil effective training and playing behaviours, commitment, leadership and teamwork ensuring each individual within the program strive to reach their highest potential. “Football is my passion, and my life has been enriched by it. Throughout my professional coaching life I have enjoyed sharing this passion with others”. Manly United showed their credentials as potential PlayStation®4 NPL NSW Men’s champions with a stunning 6-1 victory over Hakoah Sydney City East at Hensley Athletic Field on Sunday. Manly was at their attacking best with Dejan Pandurevic scoring in the first minute of the game before Sam Gallagher, Luke Giverin and Brendan Cholakian finished the onslaught. It was a one sided romp with Hakoah’s only saving grace a 35th minute goal to Kevin Lopes. With a Waratah Cup final on the horizon, Manly are hitting their straps. The first half belonged to Manly, who opened the scoring in under a minute. Parkhouse used his pace to beat his man down the left flank and sent in a tantalising cross that was struck home beautifully on the half-volley by Pandurevic. In the fourth minute, Luke Giverin hit a ripper of a shot only to be denied by the bar. Indeed, within the first four minutes, Manly had three shots on target for a return of one goal, one denied by the bar and one saved by Hakoah keeper Anthony Costa. It wasn’t long before the visitor’s struck again, with a Sam Gallagher effort in the 13th minute somehow trickled over the line. Even at this early stage of the match, Hakoah had been reduced to chasing shadows. In the 19th minute Hakoah eventually offered some resistance, with Lee Jones causing some concern in the Manly goalmouth after lobbing in a dangerous cross from the right. The ensuing corner was cleared away to safety. Manly continued to dominate. Their crisp passing and impressive interplay caused Hakoah plenty of problems. It didn’t take long for Manly to extend their lead to three, when in the 28th minute Luke Giverin struck home a pearler from long range. The match began to look like a training run for the visitors but against the run of play, Hakoah gave their small band of supporters something to cheer. Kevin Lopes struck home a beautiful goal from outside the box to bridge the gap to 3-1. But the comeback was short-lived as Giverin set up Brendan Cholakian, who blasted home a screamer to give Manly a 4-1 lead. Thirty-eight minutes played. Five goals scored. What a game. Not surprisingly the two teams went to the break with Manly leading 4-1. Immediately after the restart, Hakoah showed some spirit and launched an attack on the Manly goal. Referee Kurt Ams awarded the home side a penalty, but striker Neil Jablonski slammed the spot kick onto the crossbar. A golden opportunity missed. As if to punish Jablonski for his miss, Manly’s Brendan Cholakian grabbed his second goal from close range in the 52nd minute after a perfect low cross from Parkhouse, to give Manly a commanding 5-1 lead. Two minutes later the visitor’s were at it again, with Luke Giverin snaring his second for an astonishing 6-1 lead. The match was turning into an exhibition, with the pace and creativity displayed by Parkhouse and Pandurevic in particular, causing Hakoah plenty of grief. In the 64th minute, Richie Cardozo rattled the post with a screamer and a moment later, brushed the bar with yet another shot seemingly propelled by jet fuel. Hakoah were holding on by the skin of their teeth and were fortunate not to be more than 6-1 in arrears. No more goals were scored but Manly continued to show their class, which not only proved to be way too much for the home side, but also demonstrated to the fans that when it comes to championship ambitions, the seasiders are the real deal. Paul Dee’s team passed with precision, ran with pace and showed a skillset way beyond the comprehension of their opponents. Which, given Hakoah’s recent good form and ability to trouble any side in the competition, was a total mystery. Perhaps it was just one of those days. At the final whistle most of the Hakoah fans had departed the homely grandstand at Hensley Athletic Field and as Manly sang their victory song, the locals were left to wonder just where they had gone wrong. As expected, Manly United coach Paul Dee was delighted with his side’s performance, especially given their midweek Waratah. Cup semi-final had gone to extra time. “It was an excellent performance,” Dee said. “I was very pleased with the way the team played, we were very sharp. We moved the ball very well, created a lot of scoring opportunities and showed some desperation in defence. It was a complete performance. Dee added that Pandurevic, 19, and Parkhouse, 22, would be deserving of an opportunity to take the step up to the A-League. Meanwhile, Hakoah coach Mark Robertson wasn’t so upbeat. “I think from the very first whistle our team was off the pace,” he said. “And that’s me being kind. And once a few of their players got momentum, they hurt us badly.